Phishing scam: "Action Required! 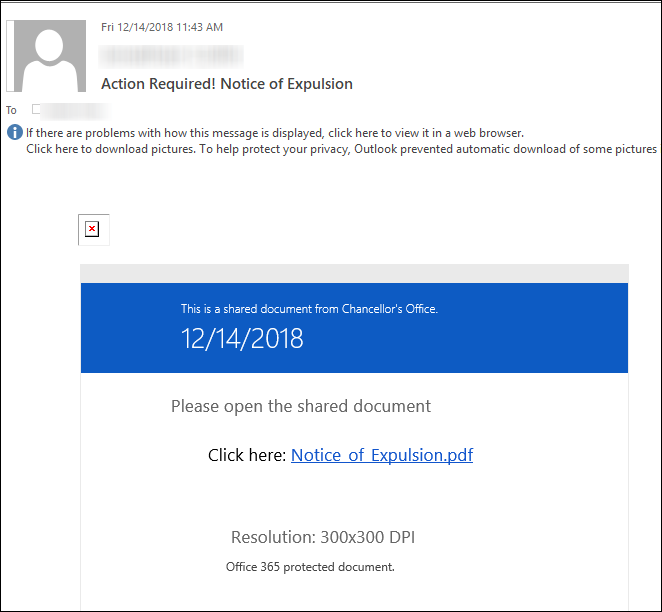 Notice of Expulsion"
Watch out for emails with title's, such as "Action Required! Notice of Expulsion" and instructions to "open the shared document" . These types of emails appear to notify you of a document that is being shared with you from a file sharing service. Don't be fooled, especially when the title suggests urgent action.